A wooden scoop of bath salt with a sprig of fresh lavendar on a bamboo mat. Hot detox baths have been used for centuries as a way to soothe the soul, cleanse the body and bolster the immune system, says Green Chi Cafe. 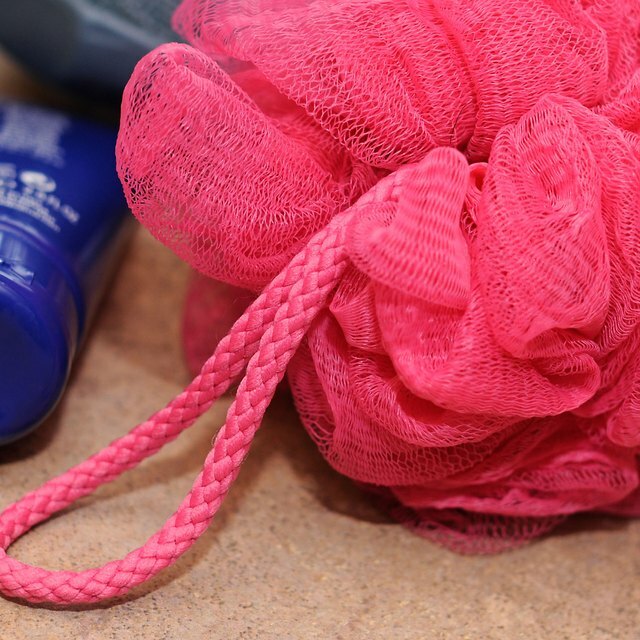 A hot detox bath works by opening the pores and releasing toxins, which are removed from the skin as the water cools, according to Dr. Hazel Parcells on Care2. Making detox bath salts at home isn't difficult, and you can enjoy a detox bath in the comfort of your own home. Check with your physician before taking a detox bath if you are pregnant or have diabetes, high blood pressure, or any other chronic illness. Place 1 cup sea salt in a mixing bowl. 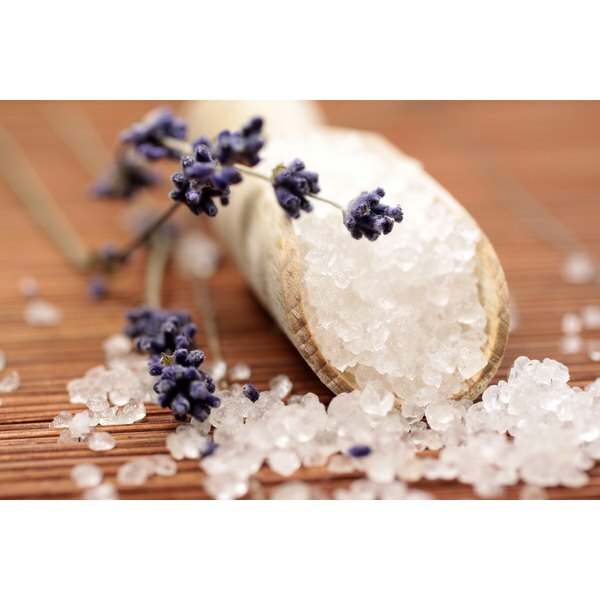 Sea salt can be purchased at health food stores and herbal markets. Stir in 1 cup Epsom salt, 2 cups baking soda and 1 to 2 tsp. glycerin. Increase the amount of glycerin to 3 tsp. if you have dry skin. Add 2 to 3 drops of your choice of essential oil such as lavender, rose, sandalwood, citrus or mandarin orange. Add a few drops of food coloring, if desired. Stir until the mixture is completely blended. Store the mixture in a labeled glass jar with a secure lid. Use a decorative jar with a colorful ribbon and personalized label if the detox bath salts are a gift. Pour 1/4 cup of detox bath salts in the tub as you fill the tub with warm water. Use water that is comfortably warm, as hot water can make you feel tired and can dry the skin. Limit detox baths to 10 minutes at first and increase the time gradually. Fresh Homemade Orange Juice Will Stay Fresh for How Long?